Phragmites.org staff provide public and private on-site training workshops on various topics related to phragmites management from "Practical Phragmites Control for Homeowners and Land Stewards" to "Establishing a Phragmites Management Program for Your Community." Each year eight to twelve workshops are scheduled throughout the Southeast Michigan area sponsored by various goverment and NGO agencies. Past sponsors include The Stewardship Network, TSN Lakeplain Cluster, TSN Headwaters Cluster, SER Midwest/Great Lakes Chapter, SEMCOG, Binational Lake St. Clair Conference, OPIS (Oakland Phragmites and Invasive Species Task Force), Clay Township, Cottrelleville Township, Oakland Township, Washington Township, St. Clair County Health Department, Walpole Island First Nations, The Craig Fahle Show and various Wildones and Master Gardener groups. 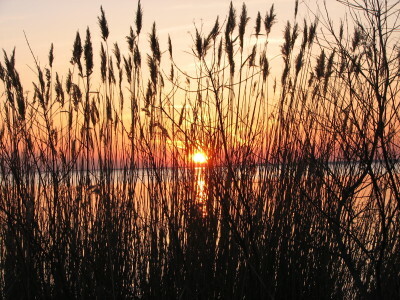 "Practical Phragmites Control for Homeowners and Land Stewards"
"2015 Science, Practice and Art of Restoring Native Ecosystems"
To register go to The Stewardship Network's website. Be sure to check out their complete phragmites track planned for the conference. Two workshops are expected to be presented in Clay Township this year, one in the spring and one in the Summer. Check back in the new year for details of these and other workshops in the South East Michigan area.